At the SMPTE 2018 Annual Technical Conference & Exhibition in Los Angeles, Dr. Takeshi Shimizu, Research & Development Manager at Media Links, will present a technical paper that proposes a new approach for building a three-stage Clos Network with non-blocking multicast capabilities. This helps reduce overall switch count and associated costs of the network. Clos Networks have been used in telephony for decades but are new to media delivery environment (data centers). Media Links is looking at the networking technology's many advantages in terms of scalability, performance and resiliency and applying them to content delivery networks. Dr. Shimizu’s presentation, entitled “Non-blocking Multicast Networks for Transporting Stream Media,” is part of the three-day conference’s Advances in IP session, which will examine how to improve upon and move beyond the status quo in professional media networking. The paper will be presented on Thursday, October 25th from 10:30 AM to 11:00 AM. 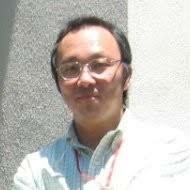 Media Links' Dr. Takeshi Shimizu is proposing adding non-blocking multicast capabilities to a three-stage Clos Network. Dr. Shimizu received the M.E. and D.E. degrees in Information Engineering from the University of Tokyo in Japan. He has been engaged in research and development of high-performance processors, shared-memory large scale servers, data center networking, and high-speed Ethernet infrastructure for IT systems, including technical leadership positions for designs of ultra-low latency Ethernet switches. He is a member of SMPTE, IEEE-CS, IEEE-ComSoc, the Information Processing Society of Japan (IPSJ), and the Institute of Electronics, Information and Communication Engineers (IEICE) in Japan. With a record number of proposals submitted this year, the technical conference program will include 78 paper presentations, in three concurrent sessions.